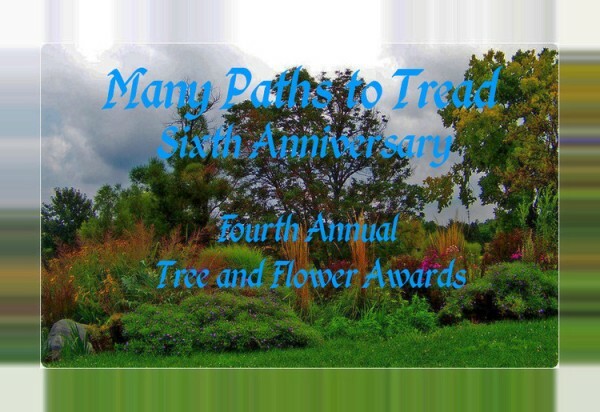 The polls for the Many Paths to Tread 2015 Tree and Flower Awards are now open. Below the cut are all of the eligible nominations. There were still a few duplicates and previous winner nominations that had to be cut, and also we had to change some of the nominations into a different category. There was only one nominations in Characterization: Theoden. "Dogs of the Golden Hall" by nautika was moved from the Characterization category to Genre: Alternative Universe. There were several changes to the various Art subcategories. Some of the pieces were not in the sub-category for which they were nominated; moving those meant that other sub-categories had to also move to keep others viable. So here is how they were shifted: "Polymer Clay Projects" by Dreamflower was moved to the Traditional sub-category; "Probably Ritual" by Rhymer and "The Elder Oak" were moved to Special Categories: Favorite Illustration of a Story; and the subcategories of Digital and Photomanip were combined into Art: Digital or Photomanip. This left only two in the Mixed Media subcategory, and since neither of those were traditional they also were moved into the Digital or Photomanip category. This was not ideal, but it was the best way we could think of to shuffle them around. So if you were the nominator of any of these, that is why you will not find them where they were originally placed. It did end up with a person having two nominations in the same sub-category, however that was a mod decision and not their fault. The nomination list is posted here with the links to the stories. If you want to read a story before voting, you may use these links. The poll did not allow for us to incorporate links into the ballots. Voting is open until September 28! I think, because the next line is still linking. Anyway, thanks for all the hard work!! There's a lot of reading to be done in there! From the form I'm guessing we have to vote on every category, is that right? Also, when does the voting close? Thank you for spotting this, it's edited. As for the voting questions. I'll leave these to answer for the other mods, as this is my first time as a mod and I don't know out of hand. All your hard work is greatly appreciated. I don't know how you manage it! Could you correct the title of my story to "Seven Stones and Seven Stars and One White Tree"? Thank you! Sorry to be a nitpicker as you have overall done such an excellent job, but my name is missing from the Races - Men Category - The ties that Bind. The story is there but not my name. Your name is up there now in the listing and the poll. Oops, the link to my story "In a Dusty Corner" is incorrect. It is now corrected, my apologies! Thank you for all your hard work! It is much appreciated! The link to my story "The Watchtower" is incorrect, it would be super nice if you could fix it. We fixed it! Thanks for letting us know. Thanks again for all your work in setting this up. We fixed it! Thanks for letting us know! Hopefully the last broken link: Under Favorite Work-in-Progress, "An Excess of Weather" by Nath. Had you refreshed the list before you found this? The link in the list works for me, but I've been checking all links and editing some in the last few hours; I think this one was among them. Aw, I like being able to see the results (though I was surprised too). Even for my entry that's not getting any votes. *g* Though I understand if not everyone feels the same. Wow, what an amazing batch of stories. I look forward to reading. Can we vote for a few, close the ballot, and return at a different time to continue voting? Or does all the voting on a ballot have to be done at the same time? Sorry for the late reply. The voting has to be done in one session, you can't return a second time, I'm afraid.